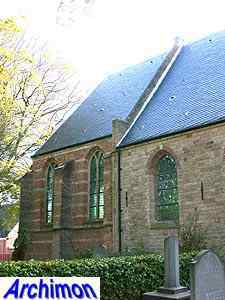 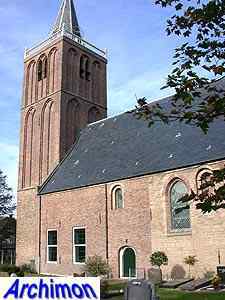 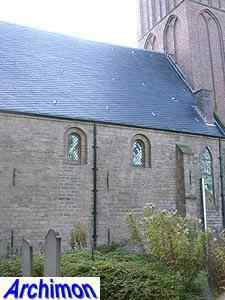 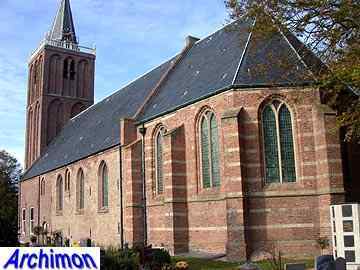 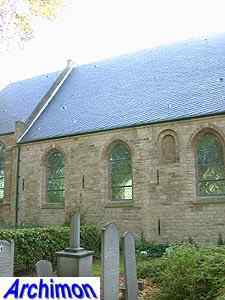 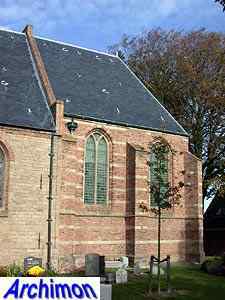 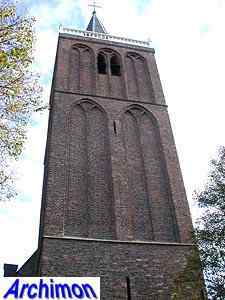 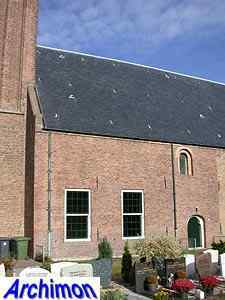 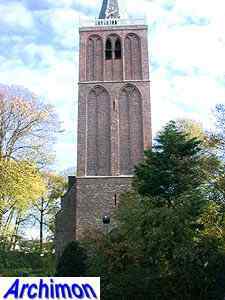 The reformed church of Castricum is one of the oldest churches of the Holland region and was originally dedicated to St. Pancratius. 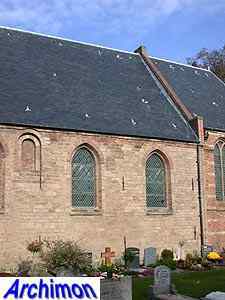 Its oldest part is the one-aisled nave, which shows traces of the Romanesque style and was built of tuff in the late-12th century, although some sources claim that the church is a hundred years older than that. 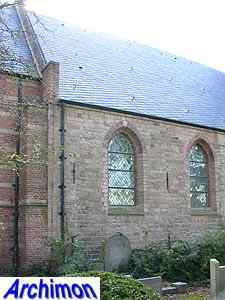 Originally the church had a narrower square choir, possibly with a semi-circular apse. 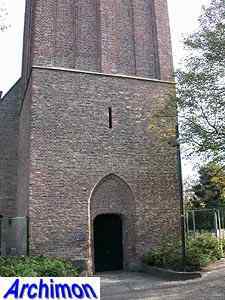 In the first half of the 15th century the Gothic tower was built at some distance from the nave. 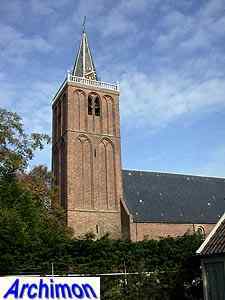 In c. 1510 work began on the Gothic choir. 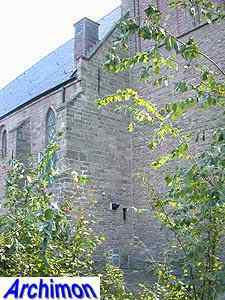 The new choir was built around the old one, which was subsequently demolished. 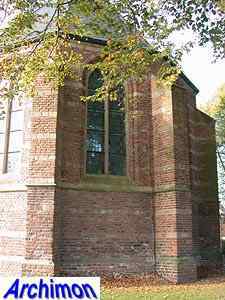 It's built of brick but has horizontal layers of tuff that came from the old choir. 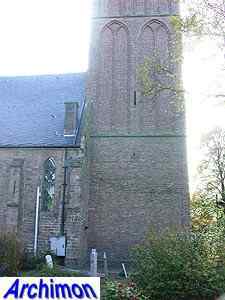 In c. 1520 the nave was lengthened with one trave, filling in the space between the tower and the old nave. 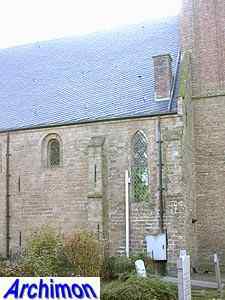 In the same century the Romanesque windows were replaced by bigger ones. 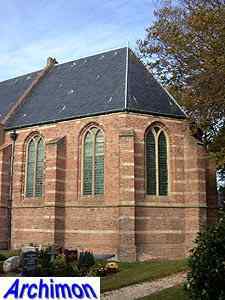 The church survived the 80-Years War but became protestant. 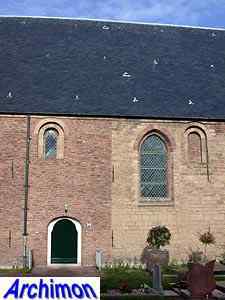 In 1953-1956 it was restored and several Romanesque windows were reconstructed.